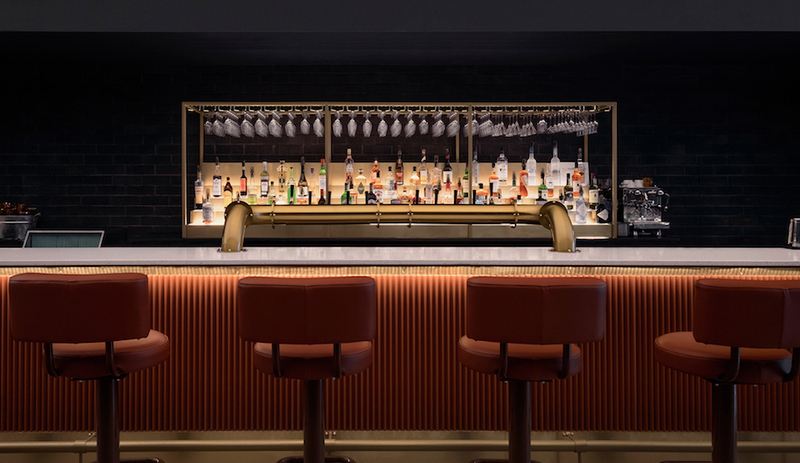 Santa Clara 1728 offers an intimate yet refined experience in the heart of Europe’s hippest city. The 18th-century building sits atop one of the city’s seven hills. Following this line of inquiry, Santa Clara 1728, the largest and most urbane of these projects, “experiments with new ways of living and experiencing space,” as Rodrigues puts it. 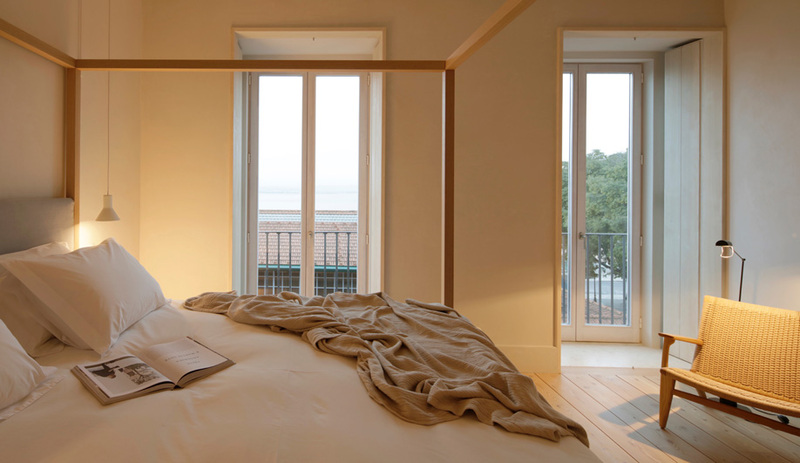 All of the projects follow three basic principles: maximum use of locally sourced, high-quality natural materials, the employment of local craftsmen and techniques, and the exploration of an architectural idea that emerges from the location. 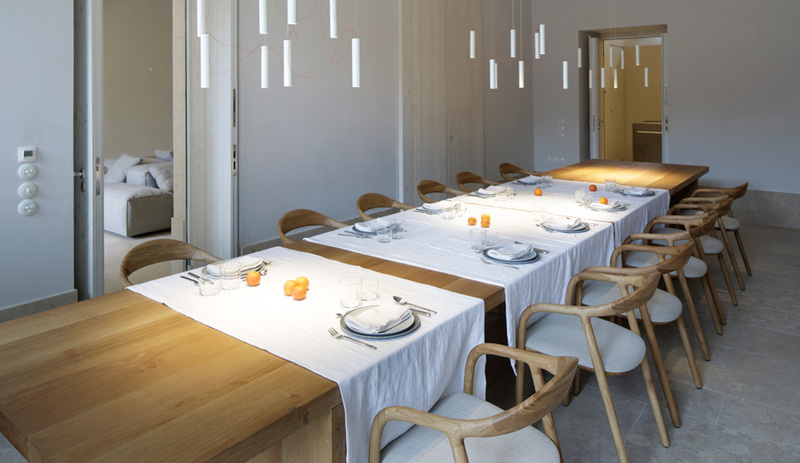 The dining room consists of a long oak table beneath Simbiosi lights by Davide Groppi. 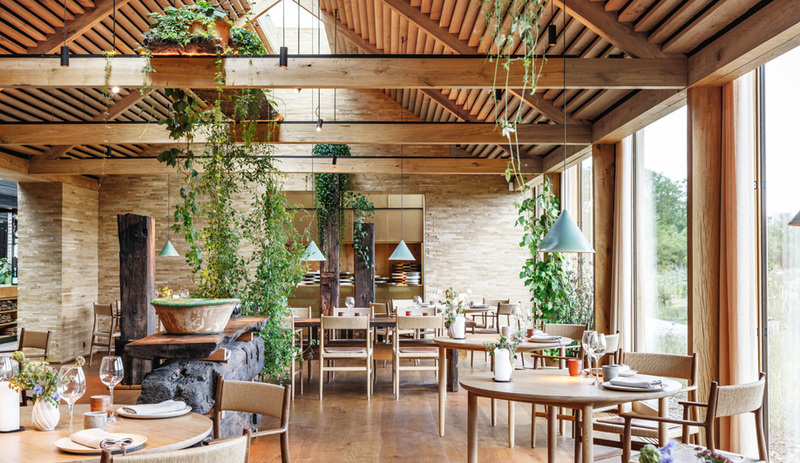 To convey an atmosphere of home, the building has been rehabilitated such that the distinction between new and original elements is relaxed, playful and informal. 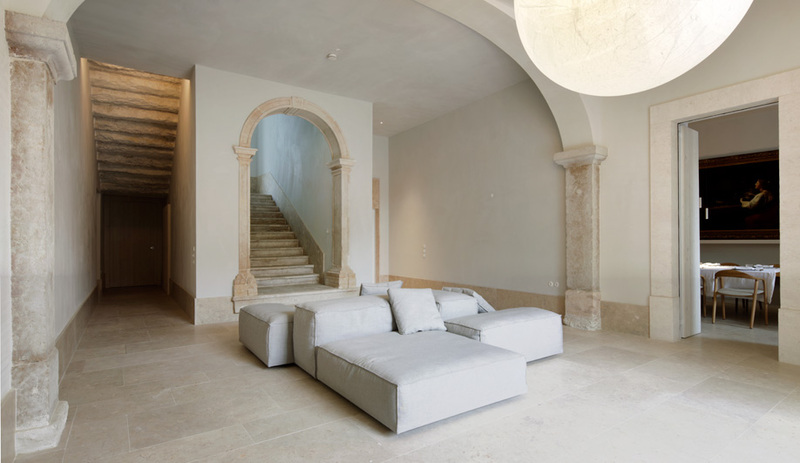 While the original limestone stairway, for example, is framed by a ceremonious classical archway on the ascent, the roughly cut underside of the stair’s return segment, originally covered with plaster, has been exposed. In a similar spirit, the Baroque paintings in the entrance hall and dining room are not wall-hung, but lean at angles against the walls, suggesting a more informal, temporary art display. Freestanding wooden water closets add a modern touch to the historic structure. The relaxed formality of Santa Clara 1728 continues within the six generously proportioned guest suites, where freestanding storage and bathroom elements that leave walls and ceilings untouched create the sensation of a single, large space that has been subdivided in an impromptu manner. 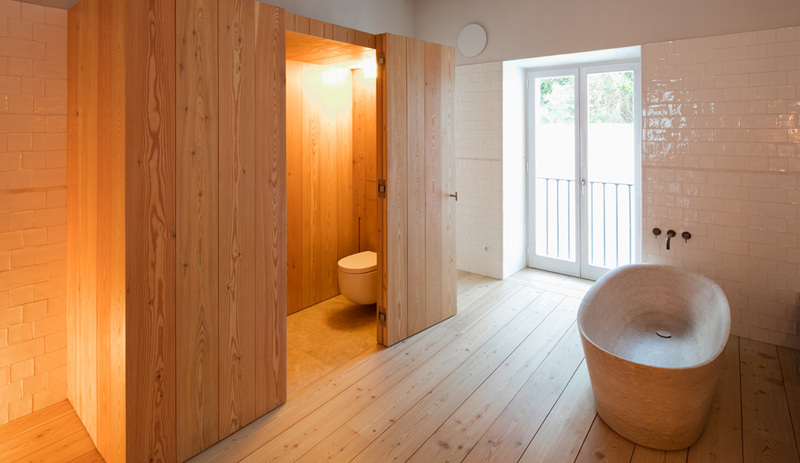 Bathrooms within the suites, for example, enclose toilet and bidet within small, Finnish-sauna-like wood pavilions. 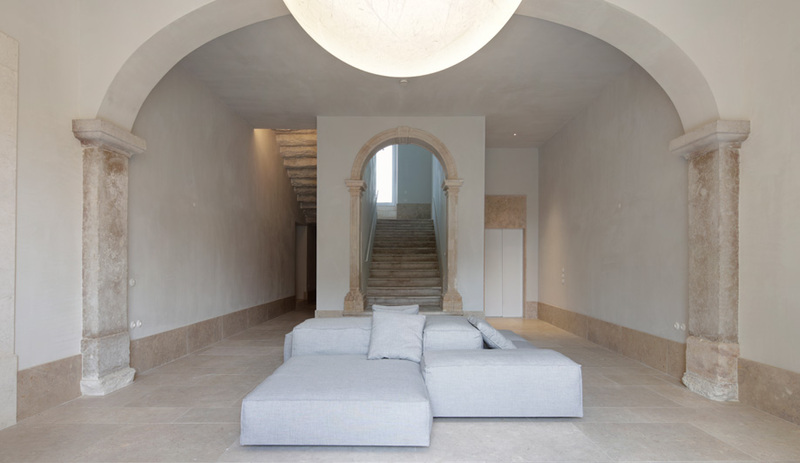 These partially conceal other fixtures but leave a solid stone bathtub exposed so that, in some of the suites, views of the Tagus River can be enjoyed while bathing. 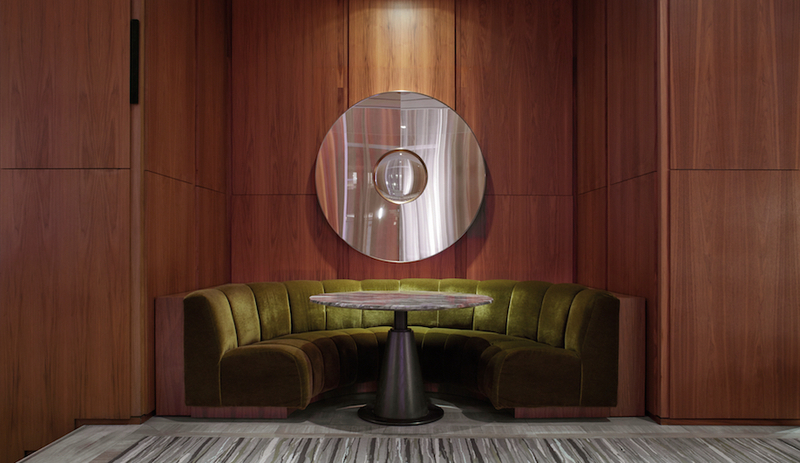 Furnished with pieces from B&B Italia’s Maxalto collection (also designed by Antonio Citterio), the suites do away with typical hotel paraphernalia such as telephones or flat-screen televisions. The emphasis here is clearly on stunning views, natural light, the textures of natural materials, and beautiful craftsmanship. 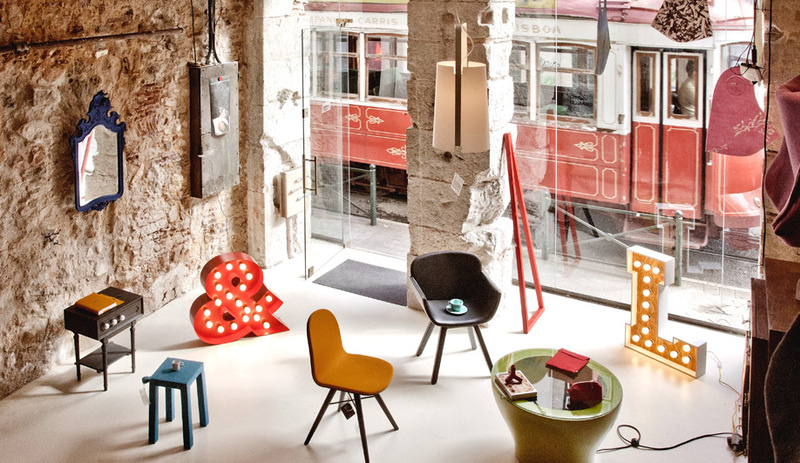 New museum spaces, boutiques and food halls are transforming Lisbon into one of Europe’s top design capitals. 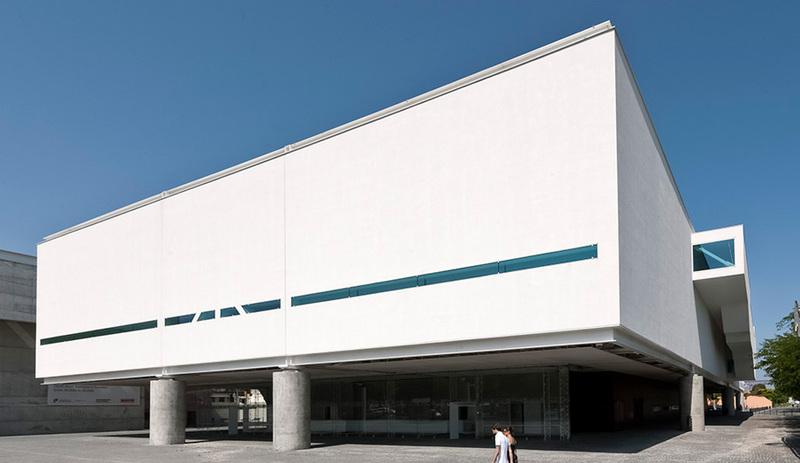 The Museu Nacional dos Coches (National Coach Museum), located in the spectacular neoclassical arena of the old Royal Riding School, has recently been expanded by Pritzker laureate Paulo Mendes da Rocha with two austere, minimalist-but-expansive volumes. The museum’s collection of historical horse-drawn carriages is impressive; they are veritable sculptures on wheels. 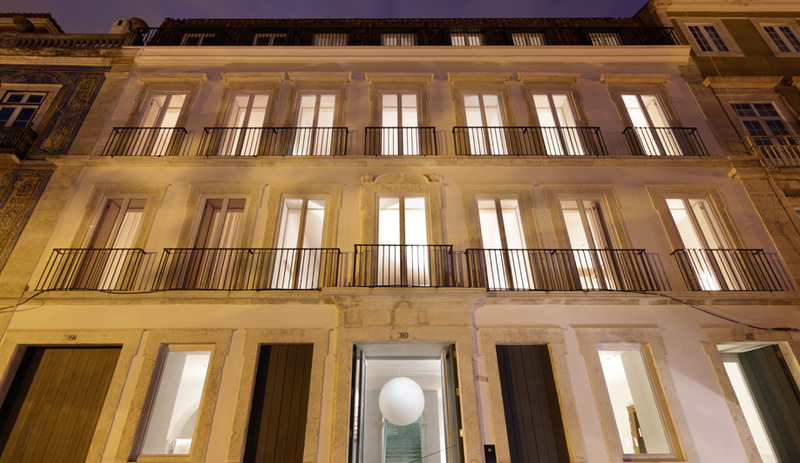 Verso Branco Gallery situated in the happening Santos Design District, is a design shop and gallery space with an irreverent collection of limited-edition works by local artists and designers. 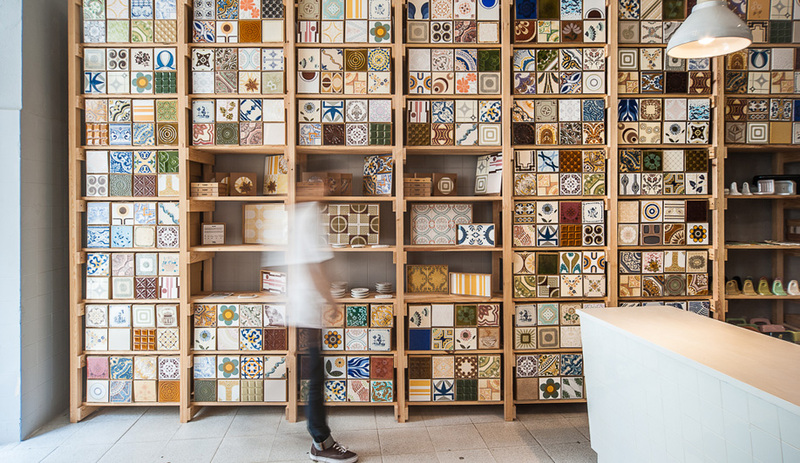 There are many places to shop for ceramic tiles in Lisbon, but Cortiço & Netos converts the display of tiles into a work of art with its simple but effective pine shelving system, crafted by the four brothers who inherited the business. 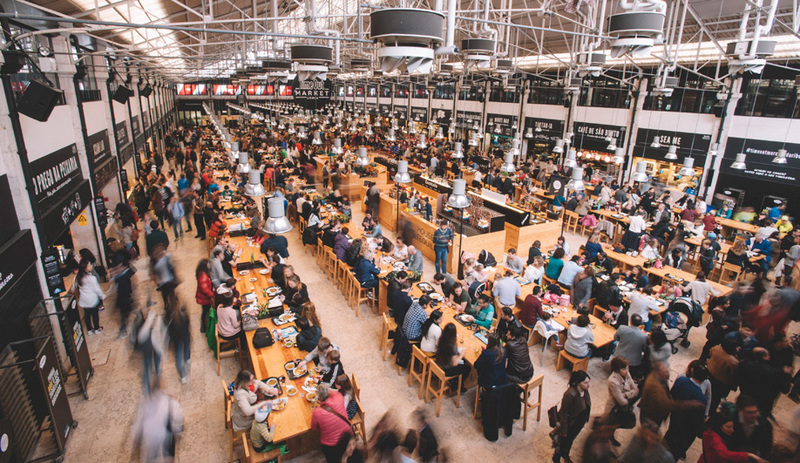 The historic Mercado da Ribeira on the Lisbon riverfront has recently been renovated and reborn as Time Out Market, a gastronomy court that brings together two dozen of Lisbon’s diverse restaurants under one roof. The concept of this ambitious pilot project by Time Out Portugal is now being replicated by the travel and entertainment publisher in various cities around the world. 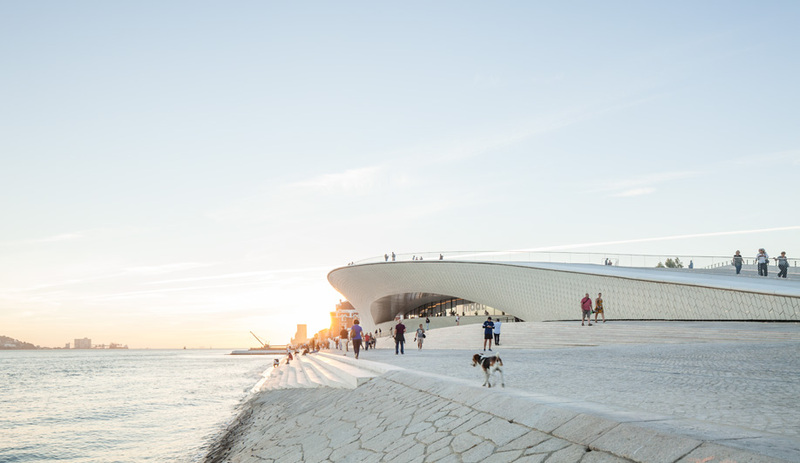 MAAT, the Museum of Art, Architecture and Technology, is housed in a former electrical power station in the Lisbon waterfront district of Belém. A dynamic new addition by London architect Amanda Levete fluidly rises from the ground to create a roof terrace offering spectacular views.